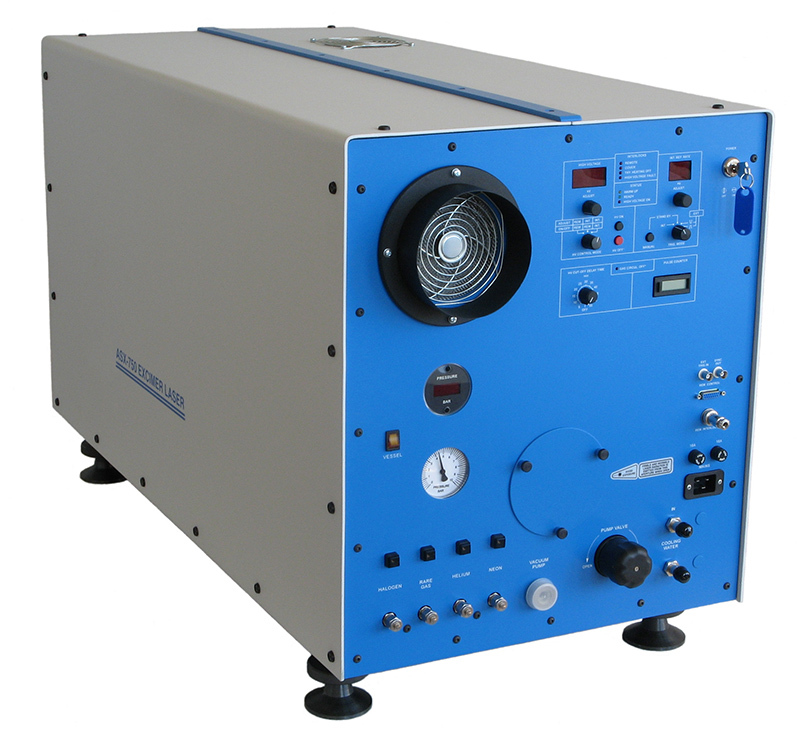 Excimer lasers are powerful and versatile sources of light pulses in the UV range of the electromagnetic spectrum. The ASX-750 has been designed to fill the need for an affordable, high-performance, moderate-power excimer laser, primarily for research and light industrial applications. In the development of the ASX-750, the main focus was on achieving high performance, high reliability, low maintenance and ease of service. The use of an effective stabilized preionisation scheme has resulted in exceptional beam uniformity and pulse-to-pulse stability.